We retell the old, old story of Jesus gathering with his disciples, washing their feet, and breaking bread with them; praying in the garden; being betrayed and condemned to death on a cross; and laid in a tomb sealed with a stone. It’s a somber week of remembrance and reflection on God’s great gifts of love, grace, forgiveness, and redemption. But, we all know how the story ends: with victory, resurrection, hope, and new life. One of my favorite ways to experience the events of this week is through a more reflective service with art, music, readings, and communion around the table. Depending on what day you hold your service(s), you might use the Stations of the Cross or Tenebrae (Latin for "shadows") Service (see examples here, here, and here), the Seven Last Words of Christ, or a sequence of readings and hymns (like Lessons and Carols) as an outline. Please leave the sanctuary in silence. I organized this service template by symbols and places mentioned in the story - light, water, table, garden, courtyard, cross, darkness. Notice that the service begins with “light" and ends with “darkness." Once you have a structure and outline in place, select the readings you will use in the service. This might include Scripture readings, responsive readings, other liturgy, and even poems and hymn texts. Consider mixing up the format of the readings to keep the congregation engaged and connected. Think about including some readings for the pastor or worship leader to read, printing some in the bulletin or displaying them on a screen for silent reading and reflection, and including some (shorter selections) to read together as a congregation (in unison or responsively). Add an element of drama by having a few people act out the readings through dialogue and conversation. Or, have multiple people read parts of the given text from different places around the room. Be creative! The next step is to choose music (hymns, songs, anthem(s), responses, etc.) that correspond with the readings you’ve selected. In the outline I shared above, I tried to alternate congregational hymns and other music (instrumental, handbells, choir, etc.). For instrumental selections, you might consider printing the text in the bulletin or displaying it on a screen so the congregation can meditate on the words as they listen. 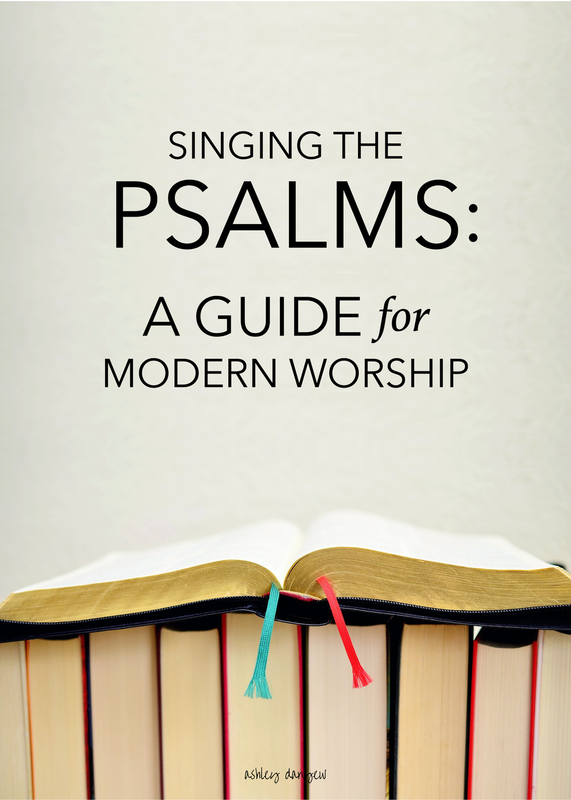 Use the topical index in the back of your hymnal or sites like Hymnary.org to find hymns that might fit and use wordtoworship.com to search for contemporary selections that match Scripture references. This is the fun part! Look for images of paintings, woodcuts, sketches, etc. Remember to look for images that are in the public domain and free to copy or display in your service. Use Keynote or Powerpoint to create a simple slideshow to accompany the service. Keep the slides simple - a white or gray background with the image filling up most of the slide. Add a small text box underneath the image, or in the lower-right corner with the title of the work, attribution, and any source information. Use a simple, easy-to-read font like Times New Roman, Helvetica, or Georgia. I would choose a few images for each reading (when the congregation is listening) and a few for each piece of instrumental music in the service. Insert text slides (unison or responsive readings, silent readings, lyrics for instrumental works, etc.) where needed, so everything is in order. Make sure the person running the slideshow during the service has a printout of all the slides and appropriate directions regarding which images go with what. What do your Holy Week services look like? Have you ever used art or poetry to enhance your worship?